This is the dress made for Ethel Ryan for her marriage to Ellis Downing on January 19, 1910, at the Lincoln Christian Church. Check out that waist – 18 inches. In 1910, as told in an earlier post, Ethel, her two older sisters and her mother were pregnant. 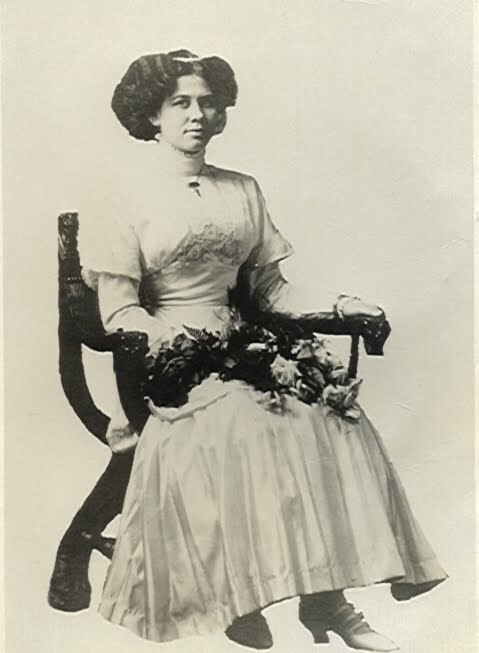 Ethel’s sister Cora had made the dress. When Cora’s daughter was born she cut up the dress to make baby dresses for her daughter. Ethel was not thrilled. Cora said Ethel would not be needing a wedding dress again so what was the big deal. It always rankled but the two remained close until Cora’s death less than 14 months before Ethel’s.